On a family trip to the Big Island of Hawaii, we toured the Mauna Loa Macadamia Nut farm. We walked along the rows of trees, picked up some of the fallen nuts (which Islander’s brother strung into a shell lei), watched the process of roasting and packaging at the factory and tasted the free samples! The on-site gift shop, many stores throughout the islands and sometimes on the mainland sell delicious macadamia nut products. 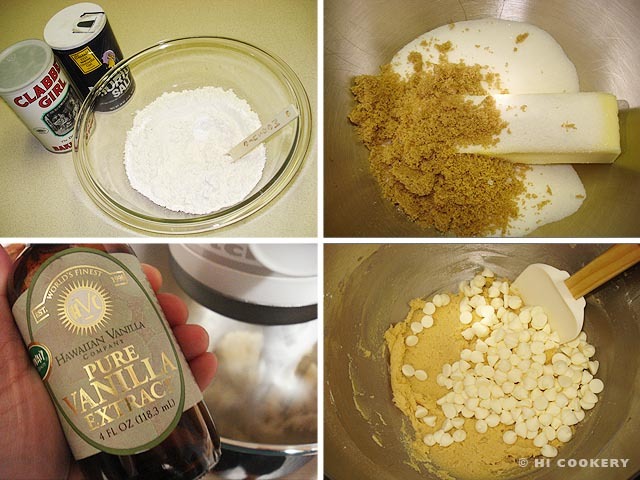 Islander frequently buys the macadamia nut baking pieces to use in many different recipes, such as macadamia nut white chocolate chip cookies, for our blog posts and especially for National Macadamia Nut Day. Sift the flour with the baking powder and salt. In a large mixing bowl, cream the sugars with butter. Stir in the egg and vanilla. Gradually add the flour and mix well until smooth. Fold in the white chocolate chips. 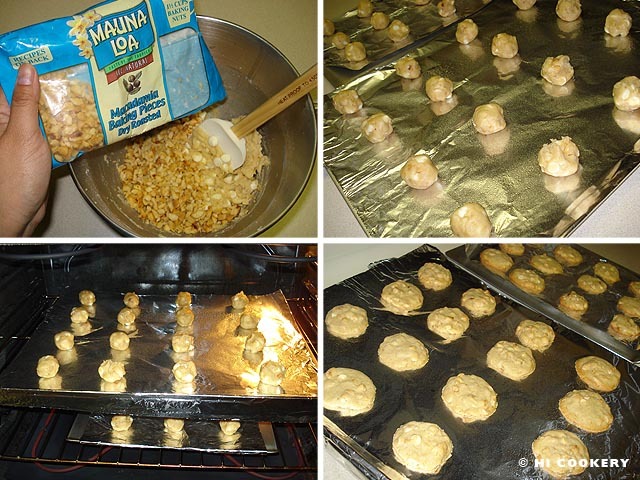 Fold in the macadamia nut pieces. Form one-inch balls from the cookie dough. Place about two-inches apart on an ungreased cookie sheet. Bake in a preheated oven at 350 degrees F for about 10-12 minutes or until lightly brown. Remove from the oven and cool for five minutes before transferring the cookies onto a wire rack. Cool completely. Yield: About 3 dozen cookies. Thanks to Lisa L. for the precious and pricey vanilla, which she bought for us when she visited the Big Island of Hawaii with her family a few summers ago. 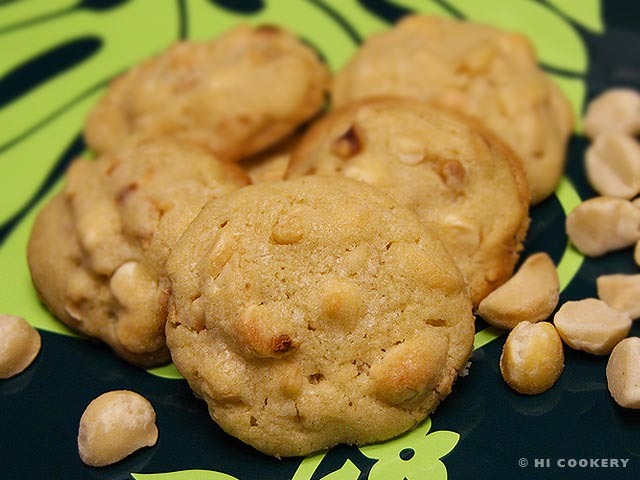 Search our blog for more posts using macadamia nuts in recipes.